Our Sheffield United Best Mum In The World 10 x 8 Photo Framed is sure to raise a smile as the recipient sees their personalisation merged with a stylish design on a high quality framed print. 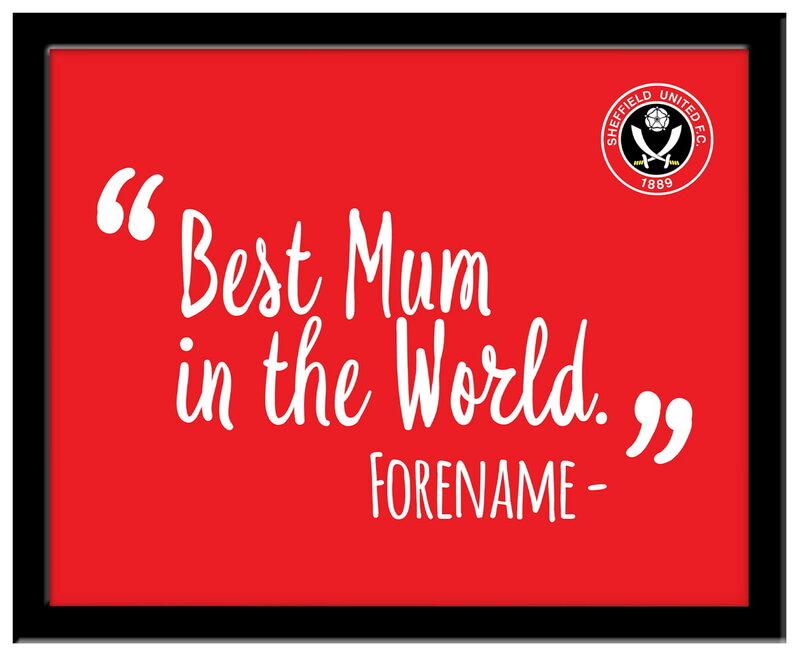 This truly stunning gift is sure to raise a smile as the recipient sees their personalisation on the Sheffield United Best Mum In The World Mug. This truly stunning gift is sure to raise a smile as the recipient sees their personalisation on the Sheffield United Best Mum Ever Mug. This truly stunning gift is sure to raise a smile as the recipient sees their personalisation on the Sheffield United Best Girlfriend In The World Mug. This truly stunning gift is sure to raise a smile as the recipient sees their personalisation on the Sheffield United Best Girlfriend Ever Mug. This official, fully licensed Sheffield United Personalised wine glass is perfect for any dedicated fan.